Next week, I'll be heading to New York City to spend Christmas with my boyfriend and his family. I'm pretty excited about this — historically, I've spent almost all my Christmases in the Philippines, where my mom and the majority of her family lives. Christmas in the Philippines is a bit different from your usual Christmas. Oh sure, the Christmas music, decoration and spirit is always there, but the weather is almost always in the high 90s (that's 35+ for you Celsius users), often bordering 100 F/38 C. And to think that's considered cooler winter weather! My dad almost always scolds me for complaining about the heat, scoffing, "Please. 96(F) isn't hot." Whatever, Dad. It also doesn't help that, for some reason, my parents decided to build a GLASS house in the middle of the freakin' tropics. Seriously — three out of the four walls of the house are made from floor-to-ceiling glass. A beautiful house in pictures and a great, modern-chic house in theory. But guess what happens in practice? A glass house under a bright, equatorial tropical sky with barely any cloud shade turns into a greenhouse. A greenhouse with no centralized air conditioning. Think about that. So, yeah — this year, I'm excited to trade in my Christmas sandals and tank tops for a more traditional Christmas. I've never been to New York for Christmas before, but almost everybody who has tells me that it's the city that does Christmas best, especially with real winter weather and a city full of sparkling lights. These Golden Cupcakes are the twelfth recipe in the book. The cupcake is a golden yellow butter cake stuffed with a surprise — a dollop of chocolate hazelnut spread in the center of each cupcake. 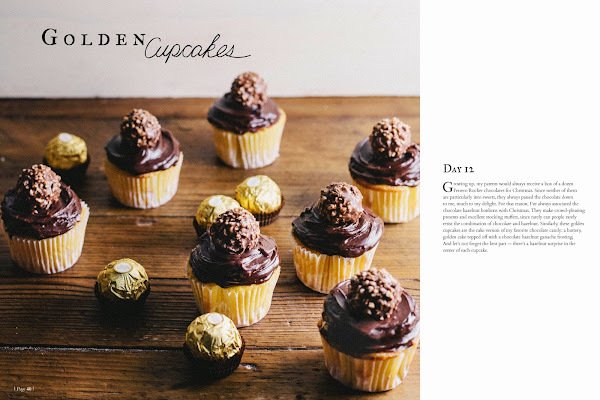 They are an homage to the Ferrero Rocher chocolate bonbons that my parents used to always get at Christmas time. Because even though I just gave them a lot of crap about the weather in the Philippines, I'll still miss them this Christmas anyway. Plan ahead for this one! 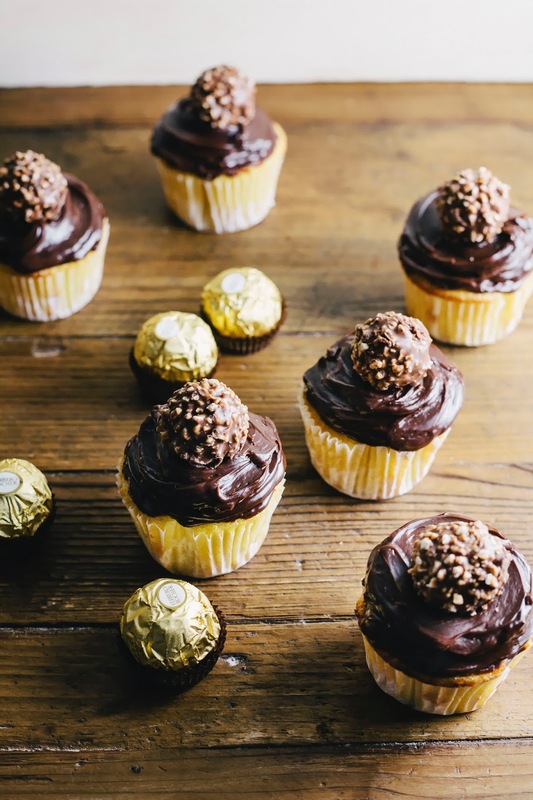 To get the chocolate hazelnut centers of the cupcake, you'll need to freeze dollops of chocolate hazelnut spread for a few hours, preferably overnight. I used Nutella as my chocolate hazelnut spread since it's my favorite, but you can try different kinds too. I also like Justin's Nut Butter and Nocciolata, which I recommend for the organically inclined. When portioning out the chocolate hazelnut ganache into teaspoon portions, it might be easier to use a piping bag and pastry tip. So, at first, the chocolate hazelnut ganache frosting will seem like it's too liquidy to spread. It'll thicken as it cools — give it about 20 to 30 minutes to achieve optimal spreading consistency. Ferrero Rocher chocolate bonbons are available at most major supermarkets, as well as online. They are more easily available during Christmas and Valentine's day though, lol. Line a baking tray with wax paper, and carefully dole out 1 teaspoon of chocolate hazelnut spread 2 inches apart from one another. Freeze until solid, about 2 - 3 hours, preferably overnight. 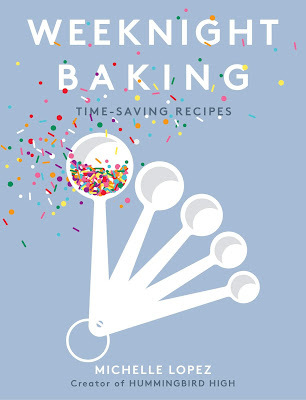 Preheat the oven to 350 (F) and line a muffin tin with cupcake cases. Combine 1 cup flour, 3/4 cup granulated sugar, 1 1/2 teaspoons baking powder, ¼ teaspoon salt and 4 tablespoons (1/2 stick) unsalted butter in the bowl of a freestanding electric mixer fitted with a paddle attachment and beat on slow speed until you get a sandy consistency and everything is combined. Gradually pour in half of the milk and beat until the milk is just incorporated. Whisk together 1 large egg, 1/4 teaspoon vanilla and the remaining milk together in a liquid measuring cup, before pouring into the flour mixture and continuing to beat until just incorporated. Scrape down any unmixed ingredients from the side of the bowl and the paddle, before continuing to mix for another minute until the batter is just smooth. Be careful not to overmix! Use a tablespoon or a tablespoon-sized cookie scoop to portion out 1 tablespoon of batter into each prepared cupcake case. 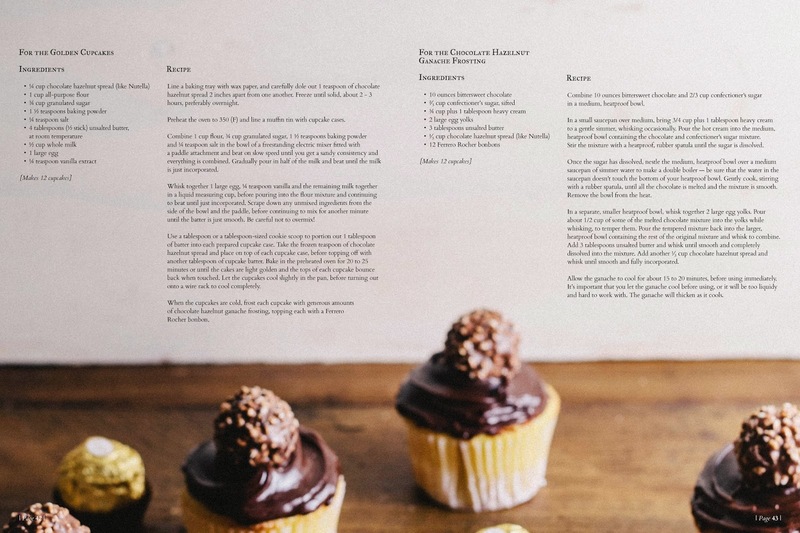 Take the frozen teaspoon of chocolate hazelnut spread and place on top of each cupcake case, before topping off with another tablespoon of cupcake batter. 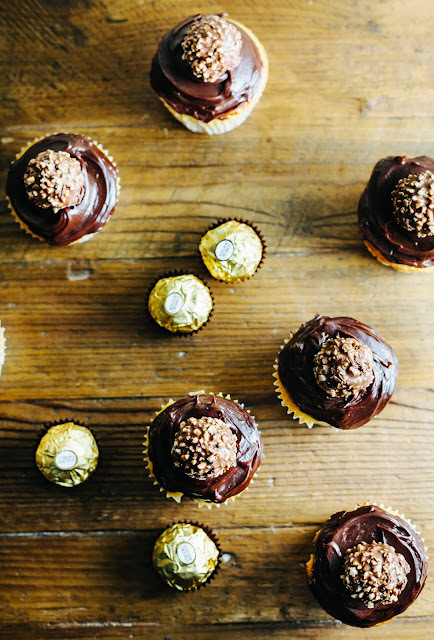 Bake in the preheated oven for 20 to 25 minutes or until the cakes are light golden and the tops of each cupcake bounce back when touched. Let the cupcakes cool slightly in the pan, before turning out onto a wire rack to cool completely. 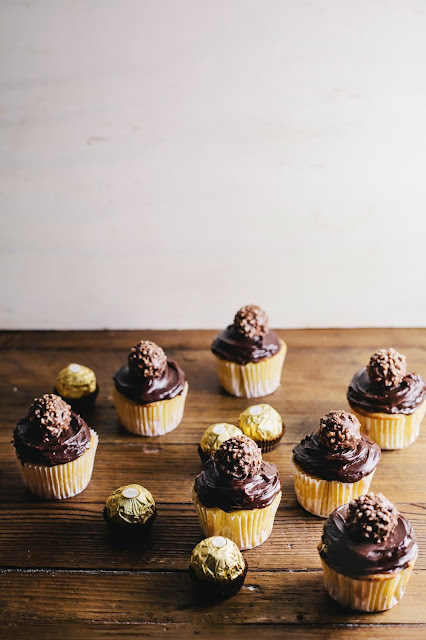 When the cupcakes are cold, frost each cupcake with generous amounts of chocolate hazelnut ganache frosting, topping each with a Ferrero Rocher bonbon. In a small saucepan over medium heat, bring 3/4 cup plus 1 tablespoon heavy cream to a gentle simmer, whisking occasionally. Pour the hot cream into the medium, heatproof bowl containing the chocolate and confectioner's sugar mixture. Stir the mixture with a heatproof, rubber spatula until the sugar is dissolved. In a separate, smaller heatproof bowl, whisk together 2 large egg yolks. Pour about 1/2 cup of some of the melted chocolate mixture into the yolks while whisking, to temper them. Pour the tempered mixture back into the larger, heatproof bowl containing the rest of the original mixture and whisk to combine. Add 3 tablespoons unsalted butter and whisk until smooth and completely dissolved into the mixture. Add another 1/3 cup chocolate hazelnut spread and whisk until smooth and fully incorporated. 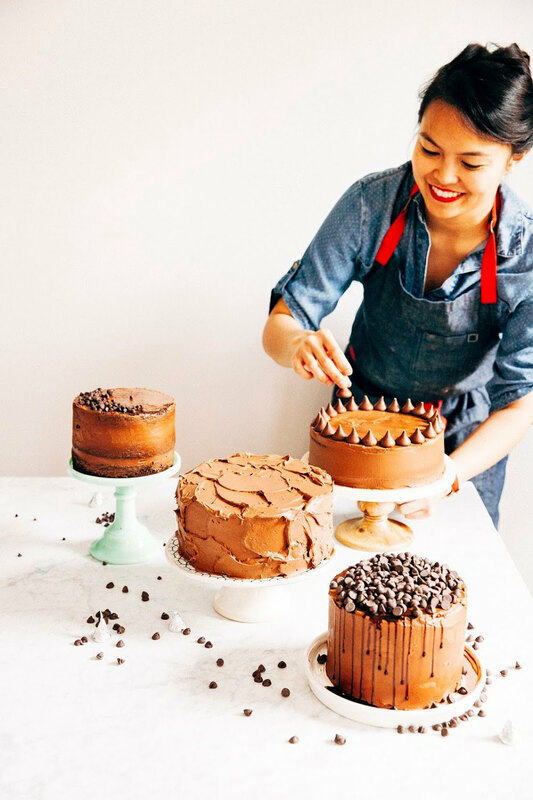 Allow the ganache to cool for about 15 to 20 minutes, before using immediately. It’s important that you let the ganache cool before using, or it will be too liquidy and hard to work with. The ganache will thicken as it cools. These are some seriously gorgeous cupcakes!! I must pin them! Where does the butter go in? In the mixer with the dry ingredients? In the mixer with the dry ingredients. I can't believe I forgot to write that! Thanks for catching it. I've updated the recipe now. Thanks! I really loved your book!Think it was very nice of you to share it with us! Congratulations on your great work! I made these last night and they were beautiful (and delicious). Just two questions about the frosting - is it supposed to cool down on the counter or fridge, and should it be whipped before piping? I chilled it but didn't whip it, and it was a little bit hard to work with. These look gorgeous and sound verrrrry dangerous. Just enjoyed peeking around your blog for the last 20 minutes. 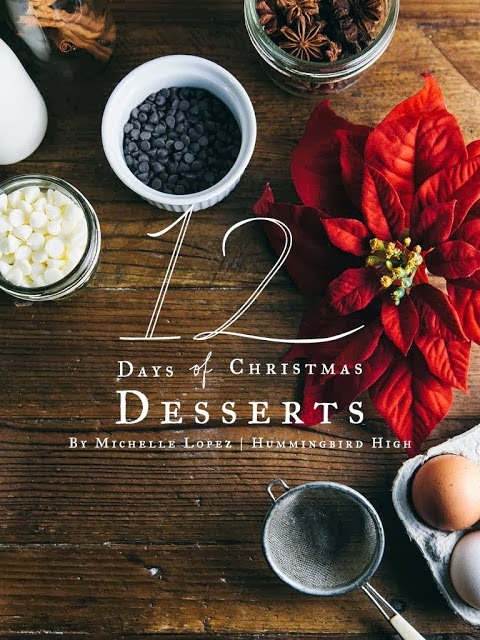 Can't wait to make some desserts from it!